The retail marketplace has changed quite a bit over the past few years. Whilst we should always expect change, it’s the pace of change that’s picked up. With so much moving all of the time, it’s difficult to know which opportunities to go after. 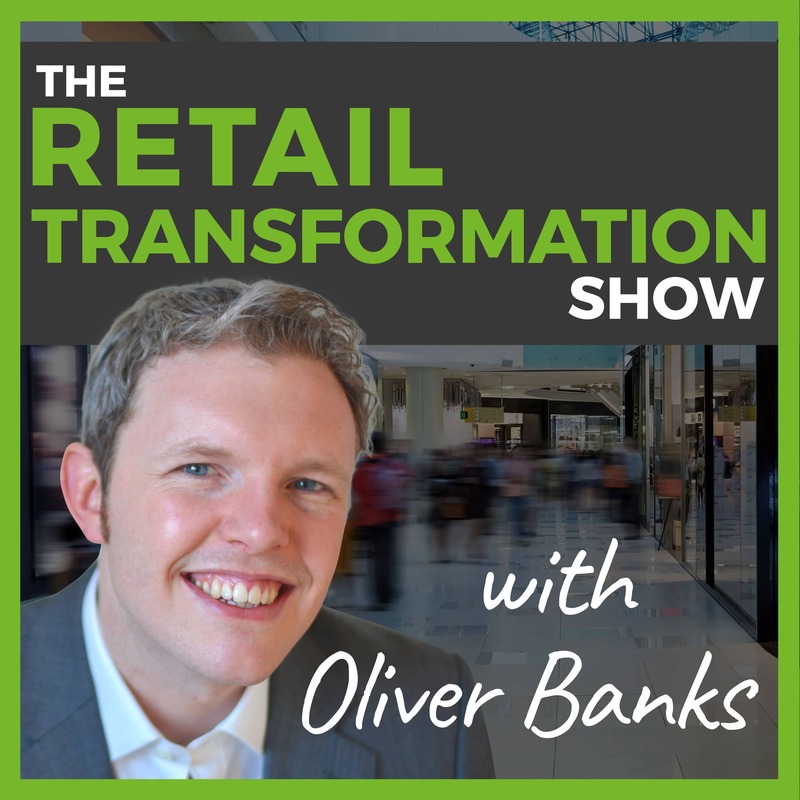 In this episode of the Retail Transformation Show, find out the big retail trends for 2019. But, why is there so much change in retail? There are so many different reasons to explore and you could probably conduct a huge research investigation into it. But for me, it comes down to 4 things. Online shopping and in particular increase in shipping speeds so much that it now can be a more convenient way of nipping down to your local town or mall. Advancements in technology, both in computing power as well as physical technology like robots and drones. Customer attitudes – whether it is the rise of the millennial generation, or natural increases in expectations, it’s clear that customer attitudes are demanding retailers to step up their game. 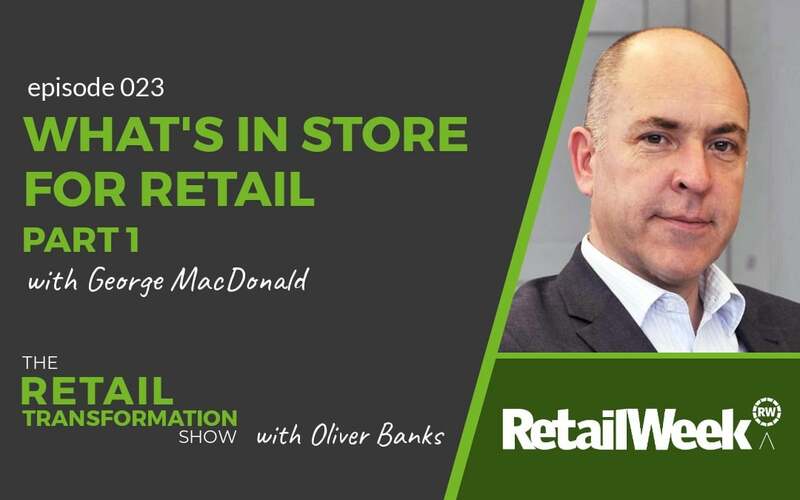 Increased competition from all sides – this is meaning that there is fierce competition in the retail marketplace – or should that be the retail battlefield. 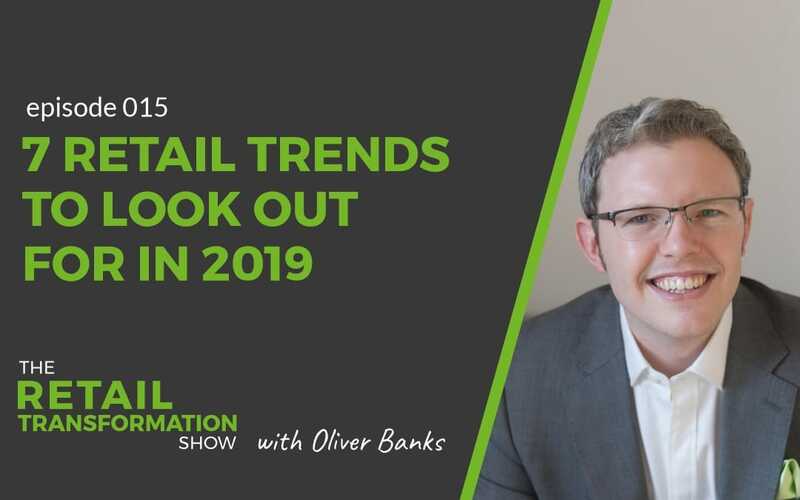 Given these changes, what are the 7 retail trends that you should look out for through the year? Meanwhile, there are more and more instances of robots and drones being used on the shop floor – from checking for out of stocks through to monitoring slip hazards. This company probably needs no introduction! In 2019, we’ll continue to see more about Amazon. Perhaps it is the expansion of Amazon Go, their checkout-less store concept (see video below). Instead maybe, you’ll hear about other trials and tests that they’ll inevitably run through the year, such as their New York based 4 Star concept. There continues to be gossip and rumour about them acquiring a UK based retailer. What would this do to your niche or marketplace? Do you have a response plan or are you thinking of waiting until there is more concrete news? (Or personalization for my US friends). 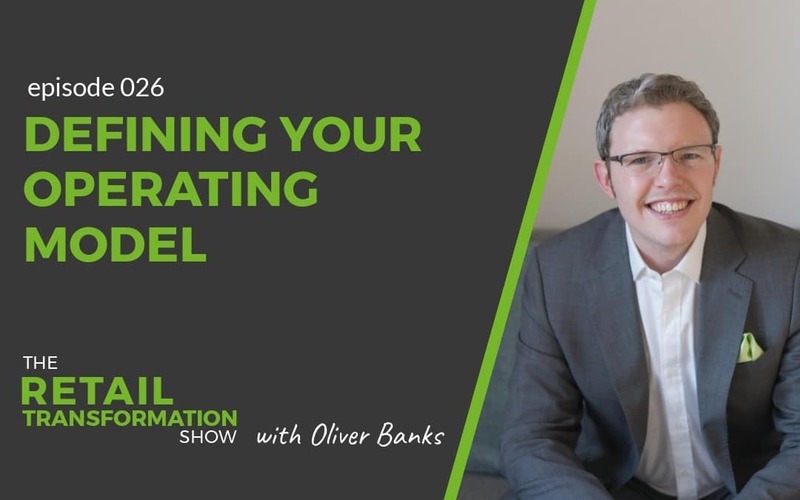 This can be a bit of a buzzword, but to be more specific, there are 2 types: experience personalisation and product personalisation. 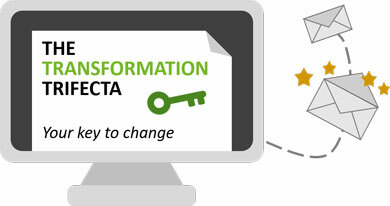 Experience personalisation is everything from email automation through to product or service recommendations. Amazon have been one of the front runners in personalisation with their recommendations based on browsing and purchase history. Whilst it’s not always perfect, they have been learning and continually adapting. Chatbots are becoming more common place. Whilst they have a potential cost saving for customer support centres, I think that the real opportunity with chatbots is to enable a more customised level of service. More to come this year I’m sure. Meanwhile, product personalisation is building pace with while you wait in store experiences. Examples include Nike’s design a trainer or custom making a sports top. Other examples are Levi making theatre out of custom t-shirt printing. Nutella have also attracted a lot of attention with their customised label featuring your name rather than theirs! Experiential retail has been a big theme in retail recently. Now, there are lots of good examples all over the world. What was interesting about the NRF Big Show this year was one of the nearby stores. It attracted a lot of attention through their “experiential” offering. I’m talking of course about the Starbucks Roastery in New York. There were 2 things interesting for me about this. Firstly, the Starbucks Roastery concept is not new. In fact, it has been around since 2014 but it still generates excitement. If you want to check out more, this is a good website at showing you what the Starbucks Roastery concept is. Secondly, this is not a technology enabled experience. This is about showing their care and experience. It’s about how they work with the coffee beans. It’s about the flavours and varieties. In fact, the Starbucks Roastery is about their passion for their brand, their product and what they do. I think we’ll see more of these style experiences as the year continues. Think Sainsbury’s and Argos. Also, the likely merger between Sainsbury’s and Asda. Also look at aquisitions such as Sports Direct buying House of Fraser. These were featured in my retail review of 2018 in episode 10. For example, Kroger and Ocado. Also, think about the relationship that Microsoft are now enabling, such as with Boots and more recently, M&S. Another example of partnership can be seen with JD.com and Google. One of the key themes for last year was of course the sad news that companies were going into administration. That shops were closing their doors and of course the distress caused to the members of staff. This year, we’re already starting to see similar signs, most notably, with Patisserie Valerie in the UK. 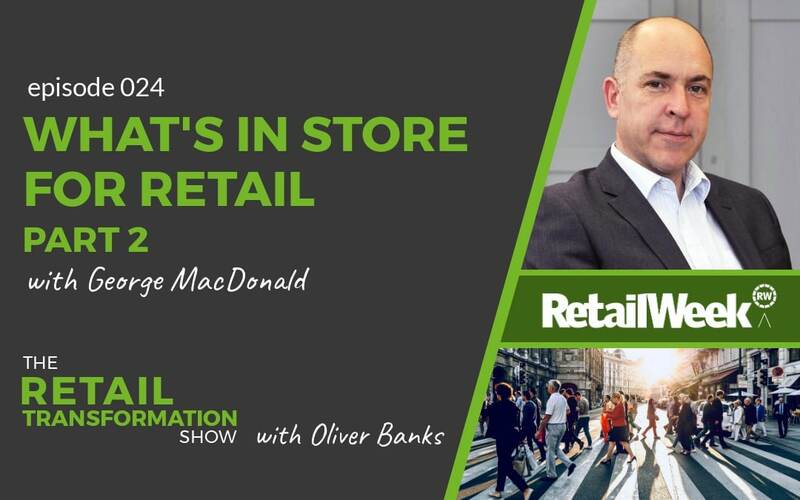 However, I think it’s going to be the year that we start to see retailers action their turnaround. So, for those businesses that are willing to take a long hard look in the mirror and take action, this should be the year that we start to see green shoots appearing. But, not taking a turnaround seriously, or not being clear on how to transform will of course represent a major disadvantage. The key to growth doesn’t need to be all glitzy and glam, it doesn’t need to be cutting edge tech. In fact, PWC’s newly released CEO survey shows that 77% of CEOs from a base of over 1300, so a big sample but admittedly, this is for all industries. 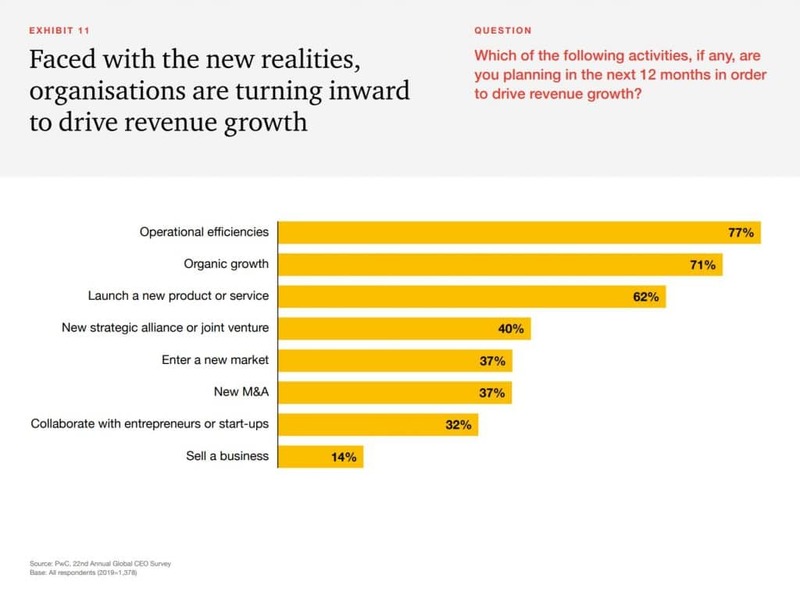 But nevertheless, 77% are looking to operational efficiencies to drive their business growth in 2019. So, if you’ve not got your operation optimised, this could well be the trend that you need to focus on. 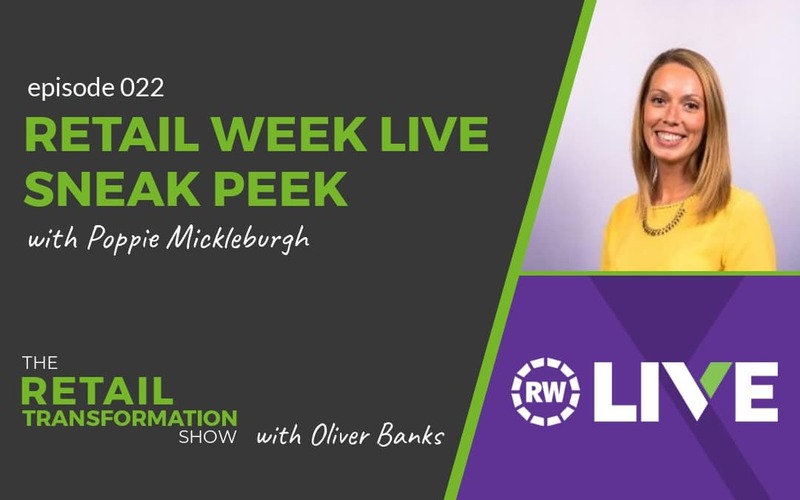 By understanding your operating model, identifying opportunities and driving change effectively to improve and streamline your operations, you have the chance to eliminate the day to day bumps and pitfalls. You can either save costs or ensure that you’re spending your costs in exactly the right way for the maximum benefit for customers and best return for your shareholders. If you need a hand to get started, do reach out for a chat and conversation. It would be great to talk and help in any way I can. 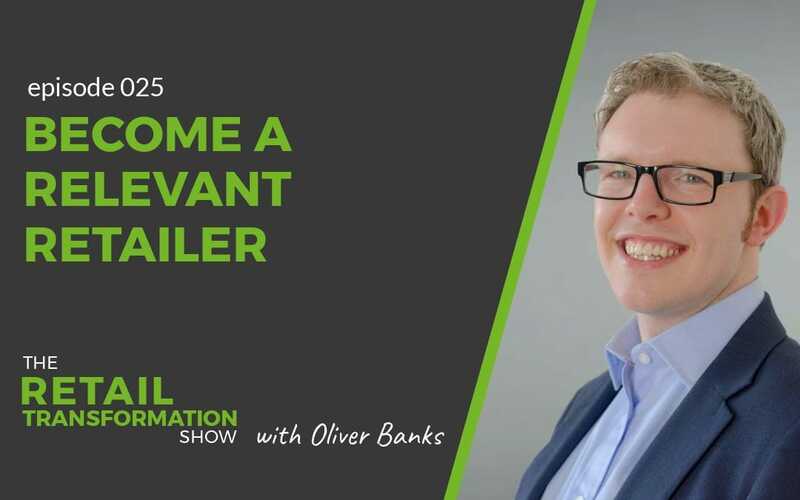 Drop me an email on oliver.banks@obandco.uk or LinkedIn or Twitter @ollie_banks.